Yes, I love being a mother. But I am MORE than a mother. My husband and I were sitting at dinner with new friends. We’d met a few months prior and had tried and tried for a double date, but schedules and young children made planning difficult. Finally, long overdue, we hired sitters and had an evening out of the house, sans kiddos. The food was great and so was the company. We laughed about toddler antics, messy houses, and crazy in-laws. It was so refreshing to connect with friends on such an effortless level. Topics shifted, and after discussing our favorite tv shows, my husband casually mentioned that I was a song writer, and had once been invited to audition for The Voice. For a moment, I was taken aback. Anybody who’s met me knows about my passion for music. 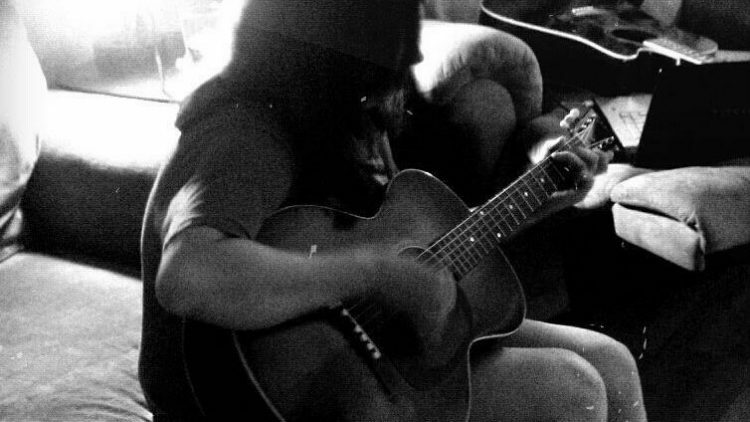 I’ve been singing and playing guitar most of my life, and songwriting takes up a huge space in my world…well, it did. Before I became a parent. And I guess there hasn’t been space in my life for much else. I’ve spent my last two years as a SAHM, thinking my job was to create a perfect, happy world for Nugget to live in. Every activity and hour has been planned and intentional, with a two-year-old’s developing interests in mind. Uncountable time spent at playgrounds and splashpads, in front of puzzles and board books. Walking through the park and discussing the trees and flowers. The world he knows is one that is carefully crafted by his mother. And crafting a world takes a whole lot of freaking effort. My schedule is full, my house is full, and my heart is full. The truth is, I love being a mother…but aren’t I more than a mother? Bejamin came into this world a lucky kid. He was, many people said, the son of a nifty woman. She was an artist. A musician. A lover of horses. A reader and writer of fiction. Mary Katherine was a friend, runner, lover, cooker, and Jesus-loving cheese-dip fanatic. Fast forward two years, as I was introduced at Sunday school last week. All of this time I’ve spent thinking my job was to create a bright and happy world for Nugget. Yet, in my efforts to create this perfect place, it seems I’ve forgotten: My son’s world doesn’t need creating. It needs discovering. It needs relishing. My job is to introduce Ben to all of the beauty that’s already here. And recently, I have neglected everything I found beautiful before I met him. Yesterday, I found myself standing in front of a dusty guitar case, I was shocked at the butterflies that fluttered in my belly. It hasn’t been that long…has it? The case creaked open, and I hugged my old friend. Her wooden form contoured against my body, and I found myself clumsily plucking the strings. 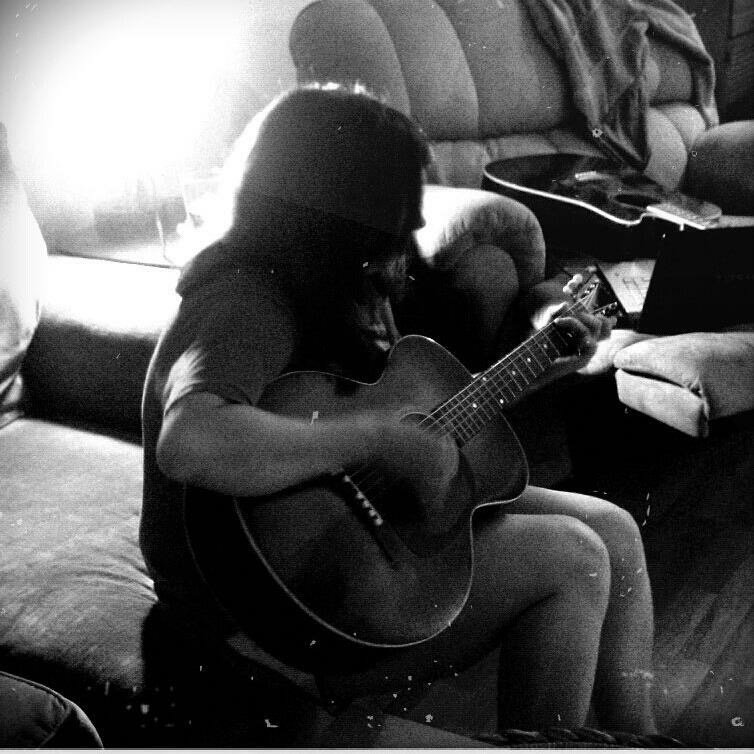 After an hour of strumming and humming, I found the words to an old hymn and I let the song take me away. As I put the guitar back in the case, I smiled. My soul felt fed. And in that moment, I hope Ben will recall how much he felt loved. Reminisce about how he had as secure, enriching childhood and his mom was just that: a great mom. But I wonder if he will talk about music. About how much Mama loved his father. About how she struggled with weight because she loved cheesedip a little bit more than she loved running 5ks. I hope Ben will know me as a person, who relished and discovered the world around me…and taught him to do the same. Because yes, I love being a mother. But I am more than a mother. The Great Pie LieDear Atheists, I Love You. Yes, yes, a million times yes! I wrote my MA thesis while caring for a baby, started a blog when my second daughter was born, and started taking piano lessons and learned to play the ukulele after my third. All of this saved my sanity! Mom Babble yep, definitely. Yes it takes a while sometimes. I felt so guilty for sending my daughter to daycare so I could have time to write (academic writing is super hard with kids).. but in the end, they made friends, learned a new language, it was good preparation for school… and also time for myself. What else could I want? We are making that leap next week. I’m so nervous, but it’s great to hear that your kids benefited so much. Just had a conversation about this today. And conversely, you can still be a woman without being a mom. It works both ways. I. Love. This. I think I’m going to start dancing again. Time to dust off my shoes and start training again. The way you love your music, is the way I love ballet and lyrical dancing. I want my daughter to know how important it is to me. She’s 2, so it’s time to start showing her. I haven’t danced in years. I forgot who I was. I miss me. That’s exactly the sentiment I felt as I wrote this. And I want my son to know ME. There is so much more to life than what I’ve been teaching him. Girl–DANCE. So many times, yes. And we feel guilty because we’re still living in a world that doesn’t know how to react to stay-at-home dads and has no mandated maternity leave. We’re here in the workforce and in universities at ever-raising numbers, but the world just isn’t quite accommodating that yet. We’re bridging the gap between what used to be and what could be, all while doing the majority of the housework and carpooling. I go out with my friends maybe 3 times a month and sometimes I feel bad and like that’s too much. But then I remember how it was being the kid with the mother who felt that way growing up and just wishing she’d go dancing… so hey- I’m going to dance. <3 AMEN. If my mom felt any guilt for working her job and pursuing her education, she didn't let me know about it. And I'm glad. I would hate to think she was feeling a burden, because to me she was just amazing. I need to take that lead and follow it. That is the greatest compliment. Thank you! 🙂 And yah. Cheesedip. The killer of all things self-discipline. Just beautiful. Teared up reading this.